A clam is a mollusk that burrows its way into the sand along a body of water and whose delicate parts are protected by a hard outer shell. Clams can be cooked in the shell or removed from the shell first for use in various dishes. Once opened, the clam's body parts are exposed. On some types of clams, the skin covering the neck is black and should be removed, and their stomachs are also sometimes black because of undigested contents. A clam is classified as a bivalve organism, because it survives through a dual system that takes in and filters the water that supplies both oxygen and food. Their food they eat passes through a digestive system composed of a stomach and intestine. Opening a clam exposes its soft edible organs that also include the heart, vein, and the foot, or digger, that helps it move through the sand. In razor clams, found mostly along the west coast of the United States, the stomach is located inside the digger and can be cut out if desired. A clam's diet consists of a variety of aquatic life forms, including small crustaceans, vegetation and algae. 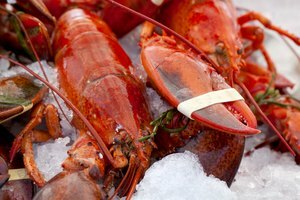 Its main source of food, however, is plankton and phytoplankton, tiny microscopic organisms that exist in abundance along the immediate shoreline of both fresh and salt bodies of water. While the dark, pasty stomach contents of a clam are unappetizing to some, they are generally harmless as long as they're completely cooked. 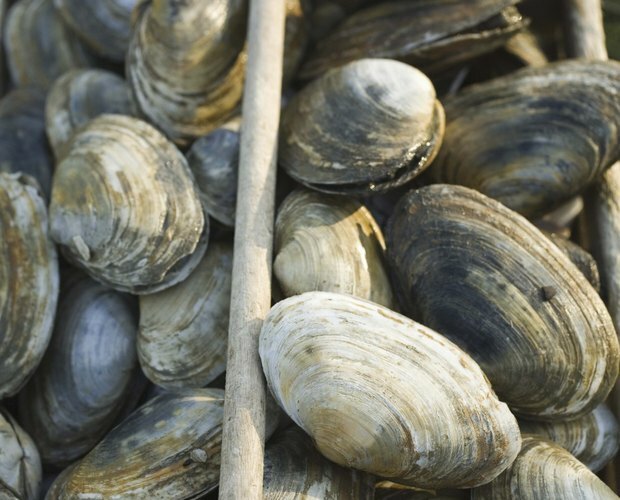 Raw or undercooked clams may be infected with bacteria that live in warmer waters and that can cause serious illness. More widespread bacterial problems sometimes also affect coastlines, resulting in local authorities declaring certain areas as being closed to clamming. Thorough cooking is the only way to assure that a clam, along with its stomach contents, is safe to eat. Prepping clams for steaming or adding to a recipe such as pasta sauce or paella involves testing them first to see if they are still alive. If an open clam closes when gently tapped, it's alive and safe to use. If it doesn't or if the clam is closed or has a damaged shell, it's dead and should be discarded. 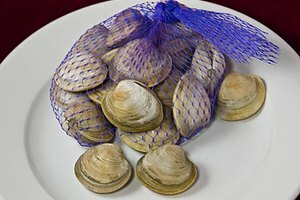 Before steaming, place the clams in cool water where they'll continue to flush their systems out and eliminate any residual sand in the process. Drain the clams then scrub them well with a small brush and keep them refrigerated until you're ready to steam them. Clam flesh can also be fried, baked in a casserole or used in chowder or stew. Start by opening them, using a short blunt knife to cut into the space separating the shells closest to the hinge. Insert the knife and give it a twist to separate the shells, then use a small fork or spoon to scoop the flesh out. You should remove the black skin around the neck, but the choice of whether to remove the stomach is up to you. Leave the clams whole for frying or cut them into smaller pieces for chowders or casseroles. Fried whole clams, including the stomachs, rate right up there on summer menus in many seaside communities, along with clam cakes, which are made from chopped clams mixed with eggs and bread crumbs and fried in oil. You can make your own by dipping whole clams in a batter made from flour, milk, and eggs and frying them in a deep fryer or a deep heavy cooking pot. To make clam chowder, cut the clams into bite-sized pieces and discard the stomachs. The same preparation method is used when chopping clams for clam cakes, pasta sauce or a casserole. 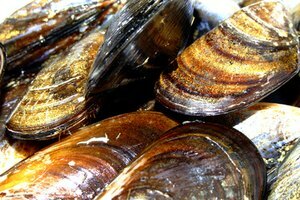 University of Florida: What Do Clams Eat? 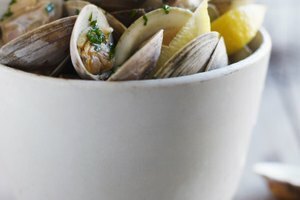 Interstate Shellfish Sanitation Conference: Clams: Are Clams Safe to Eat?